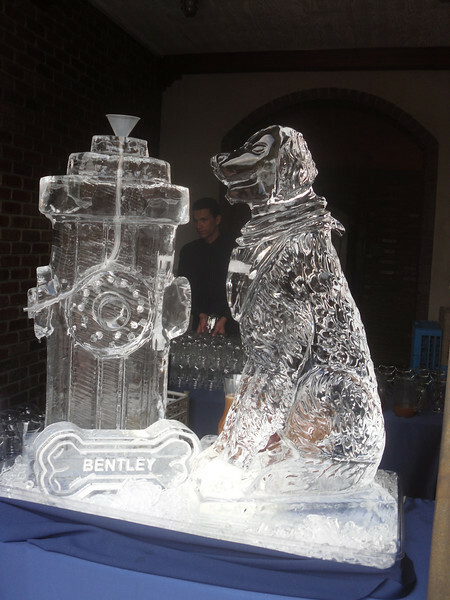 Custom Bentley (dog) and fire hydrant Ice sculpture Luge and an ice bone for Bentley. Yes! this is fun! Custom ice sculptures are always available.